Oktobrew Festival is set at Grape County Resort, amidst 150 acres of natural valleys and forests. 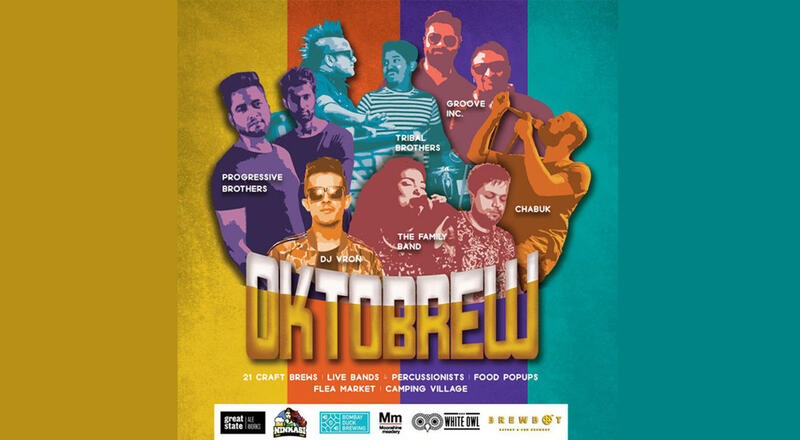 This annual festival brings together the best fresh beers, gourmet, food and live music artists at the sprawling greens of the property. The festival also hosts a camping village and a lot of fun activities for the entire weekend. The Family is a band founded in Mumbai by Dhruvi Singh and Johaan Thekkan who wanted to bring about a change in the way that people in India felt, heard and appreciated music both live and while hearing it on other platforms. They named themselves The Family because they are certain that their music and its frequencies draw and bind people together. India based DJs/producers Progressive Brothers are one of the most promising stars signed on DJ Tiesto's founded 'Black Hole Recordings' where they have released most of their tracks and official remixes & received immense support from India and abroad. Progressive Brothers have honed their skills at India's biggest festivals like Sunburn Festival, Vh1 Supersonic and Enchanted Valley Carnival, and have shared the stage and played alongside the likes of David Guetta, Afrojack, Steve Aoki, Bassjackers, & many more. Chabuk, a Hindi rhythm and poetry outfit, whipping up rhymes that are lyrical, groovy and heavy-duty. The duo of DJ Cyrus and Percussionist Anish have been a rage in the Mumbai clubbing scene for a while now. They have performed live at leading venues across the country, Dubai, South Africa, USA and Australia. Get ready to groove to their dualist melodies as they juice up the scene with popular global hits. Grape County Resort, Vadholi Phata, Anjeneri, Trimbakeshwar Road, Nashik.